Most of the heirloom recipes in my blog are recipes shared by my elderly relatives or friends. These recipes are completely heirloom and forgotten by many. 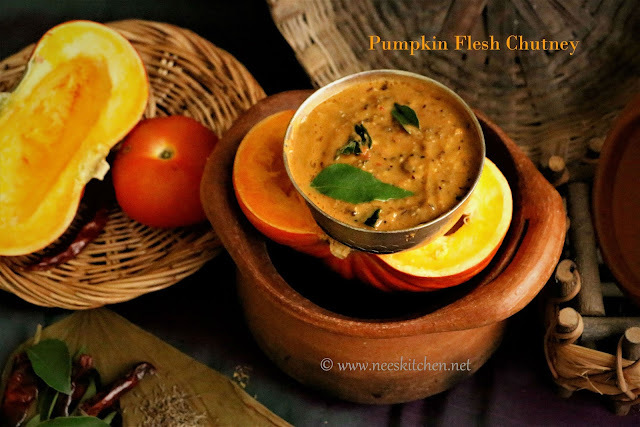 One such recipe which I found interesting is “Parangikaai Kudal Thogaiyal” or “Pumpkin flesh Chutney”. 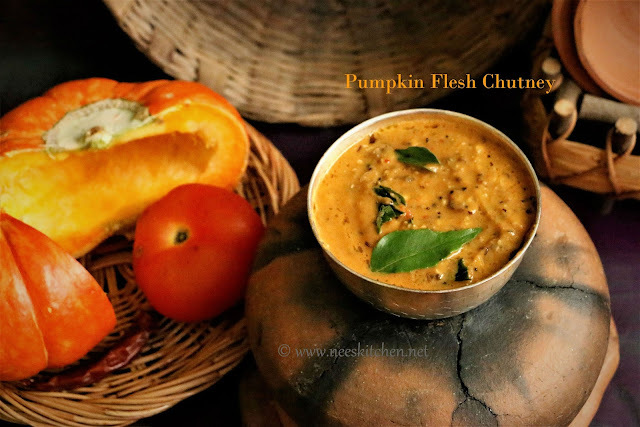 Pumpkin flesh is cooked along with tomato, black urad dhal, chili & tamarind. 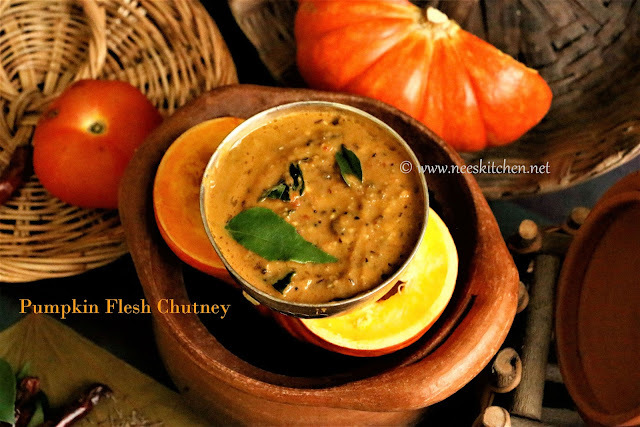 The flavor of the dish is enhanced when we temper with mustard, cumin and curry leaves. Today’s recipe is shared by “Mrs.Kousalya Gopal” who is my cousin & neighbor in Chennai. She participates in many local magazine contests and has won many prizes. 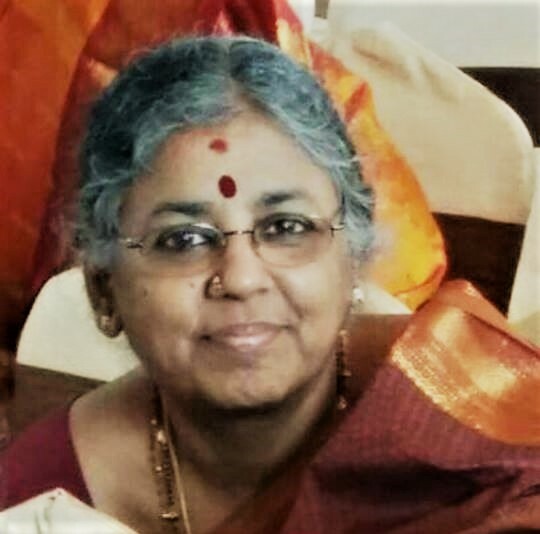 Hence she was my target to get more heirloom recipes for my blog when I was in Chennai last month. Once again I thank “Mrs. Kousalya Gopal” for sharing this recipe with me. 1. Take out the inner flesh of pumpkin. 2. Separate seeds and flesh. 3. Take a pan and add water and pumpkin flesh. 4. Cook for 5 minutes and transfer to another vessel. 5. Take a pan add 2 tsp oil, hing and urad dhal. Fry them. 6. Add tomato and fry well. 7. Add tamarind and mix. 8. Add the cooked pumpkin flesh and salt. 10. Grind the mix to a chutney consistency. 11. Temper with oil, mustard , cumin seeds and curry leaves.